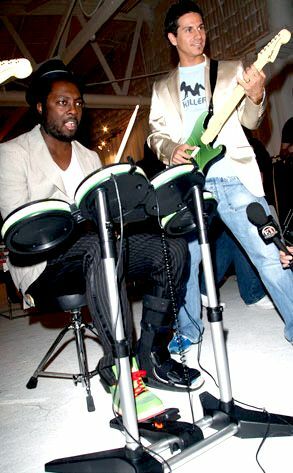 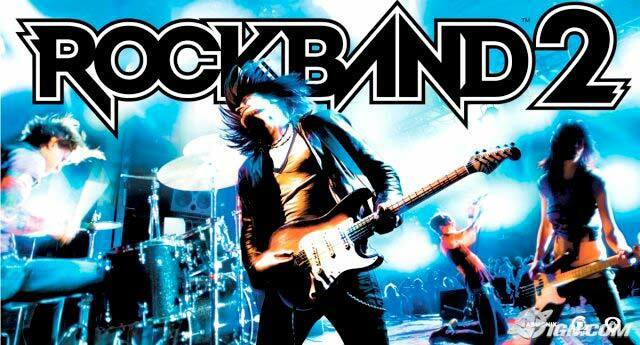 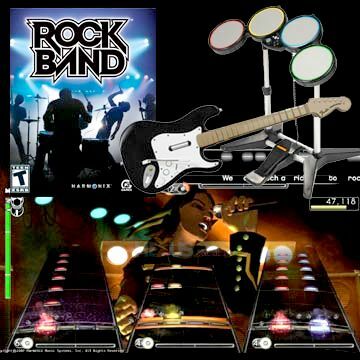 Rock Band allows you to perform music with the world's biggest rock artists with your friends as a virtual band using drum, bass/lead guitar and microphone peripherals. 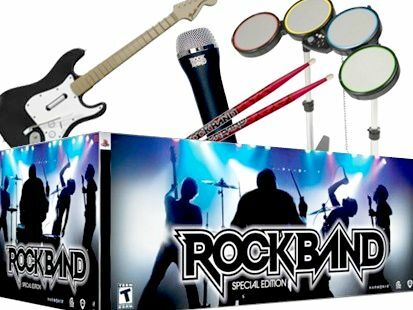 Step up to the mic, lay down a beat on the drums, play a tasty bass riff, or just jam out on guitar! 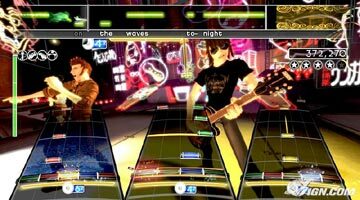 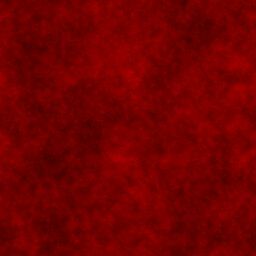 Rock Band has over sixty songs in its catalogue. 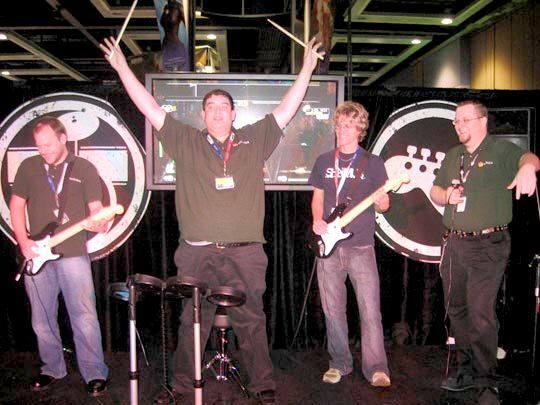 Giant Video screens and monster sound systems takes Rock Band to the next level.